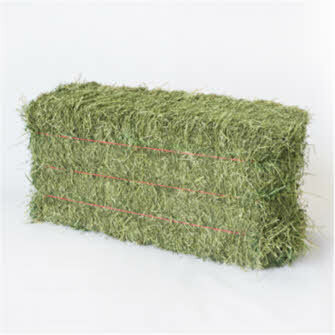 A modification of the D/C bale, D/C 1/2 Cut is simply one half of the size of our traditional D/C bale. 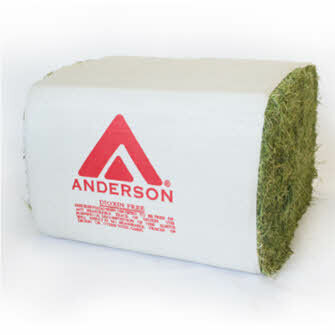 This light bale is perfect for personalized hand feeding. A favorite of camel, sheep, and goat ranches, the D/C Mini Bale is a very efficient packaging options for both shipping and feeding. Compressed to accommodate the same weights as the natural 3-tie bale, D/C Mini Bale offers saving in transportation costs and it can be hand fed. 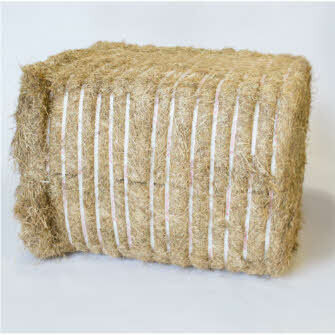 This traditional, double-compressed export bale is flexible for different handling and loading styles. Either in bulk or Ander-Pak units, D/C is light enough to pick up by hand but heavy enough to maximize container or trucking loads. This package type (the base unit for D/C, D/C ½ Cut, and D/C Minibale) is consolidated in a double-compressed unit, which means efficient transportation. Feeding with the 110kg log can be dropped off in a field, in a trough, or blended into a ration. 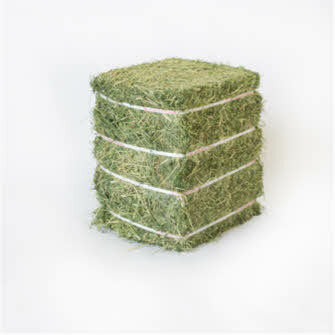 Its shape ensures that multiple animals can be fed with minimal stacking and unstacking. The 350kg bale is a large double compressed bale available only with our Straw products, and is packaged with plastic straps in place of plastic sleeves. This bale type is best suited to large-scale feeding needs such as TMR or feed rations, and is a very economical packaging option. The 430kg bale is a large double compressed bale best used when incorporated into TMR or feed rations for large-scale dairies. Highly modernized dairies prefer this package because it is simple to load and unload with a forklift, saves on shipping costs, and is simple to manage. Regardless of the type of herd you have, the 430kg is well suited to large-scale feeding needs. 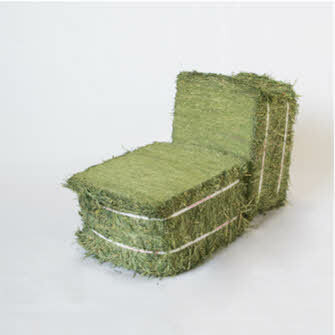 The MAG bale is a flexible alternative to the 430kg bale. 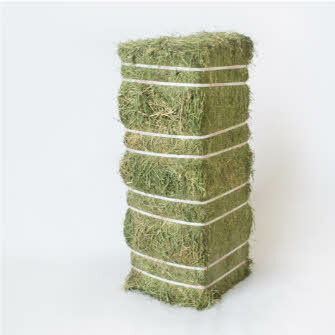 This bale is double-compressed, but can be sectioned off into 0, 4, 8, or 16 blocks of hay while still retaining the large sleeve. Forklifts are required to move this product, but flaking the bale makes for flexible hand feeding. As the traditional, single-compressed bale, 3-Tie is supplied to distributors and users who desire the natural fibers that come from harvesting hay. 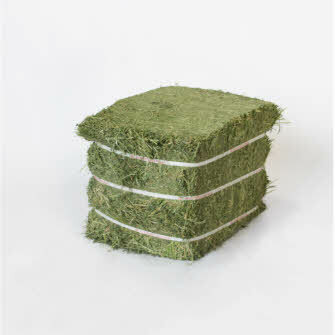 Single-compressed bales are twice the volume as double-compressed bales. These bales are easy to feed and can be unloaded by hand or forklift.